The Gourmand, as you would expect, is all about food. But fear not, unlike its uninspiring contemporaries, this new journal has carved out a clever new niche. 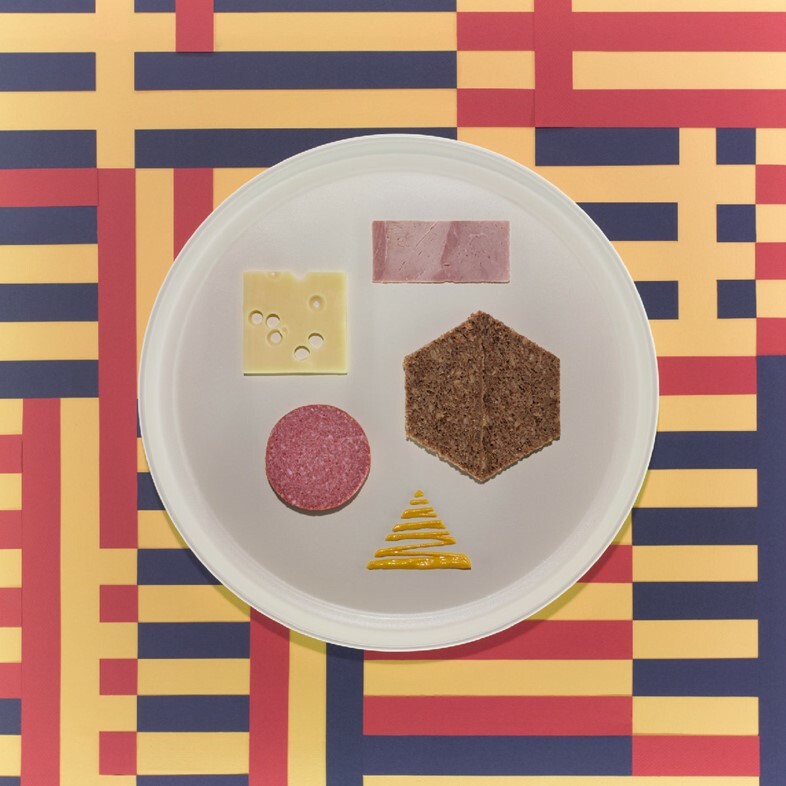 What other publication in the culinary genre would arrange a plate to replicate the design movements of the 20th century? Or bemoan a Manhattan served anywhere other than in Manhattan? The idea to dish up food stories with a refreshingly artistic take developed over dinner with friends, and is a response, the editors say, to a flourishing food industry which has witnessed an influx of everything from exciting new restaurants to more adventurous ingredients of late. We asked the duo behind the London-based publication, David Lane and Marina Tweed, to elaborate on the first issue, and to tell us which food establishments we should be hitting up. Dazed Digital: Can you tell us about your background? And why you're so passionate about food? Marina Tweed: We come from two very different backgrounds but both share a mutual love and respect for food, cooking and eating of all kinds. Marina worked predominantly as a project manager organising production of all kinds from magazines to restaurant openings. David is an Art Director, and co-owns a design studio called Inventory. DD: What sparked the idea for the magazine? Marina Tweed: Food is, and has always been, a real catalyst for creativity and has an inherent relationship with the arts, and we felt that this should be represented in print. We hosted a dinner at our home with friends, discussed the idea of the magazine and that was it – from there it was quite an organic process. Most of the people present at that dinner have contributed to this first issue in some way or another. As we ate we discussed our initial ideas for editorial, illustration and photography projects and it has been a real pleasure to watch these ideas form into the finished journal. DD: Food and cooking is obviously a broad area, what did you look for in a story for The Gourmand? Marina Tweed: Producing Issue 00 was a very natural process. We invited contributors whose work we admired to propose ideas based on the ethos of the Journal. This approach allowed The Gourmand to act as a platform for contributors to not only display their work but also work on projects that they were truly passionate about. As editors we selected and facilitated. As the Journal continues there will be some regular voices and a continuously changing rosta of new ones. This is the wonderful thing about food, it allows you to meet great people and discuss great ideas. DD: Where in London is your favourite place to eat out at the moment? Any particular places we should be visiting? Marina Tweed: In London we are spoilt for choice. There are great established British restaurants like St John alongside newer ones like Brunswick House Cafe in Vauxhall, the recently opened Brasserie Zédel in Piccadilly is well worth a visit. There are amazing Turkish grills like Mangal on Arcola Street in Dalston. Koya in SoHo is good for humble Japanese food. For good classic Italian The River Café and all of the other great restaurants it and its chefs have spawned across the capital are all great too. We could go on and on it's really is hard to keep up in London.